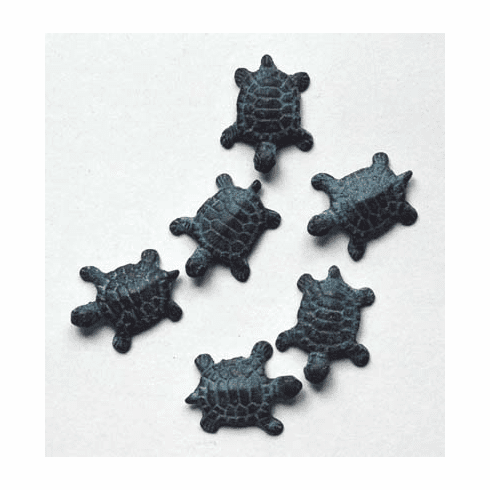 Turtle Scatter, Set of 6 - Just scatter them around for the fun of it. Use these cast brass turtles to hold down napkins, place cards, business cards, shopping lists or place them among your potted plants or decorate your water fountain. Each turtle measures 2-5/8" in length.